At 03:00am on 8 October 2016 an airstrike allegedly by the Saudi-led military coalition struck the village of Deir Al-Hajari in Northwest Yemen. The airstrike killed a family of six, including the pregnant mother and four children. 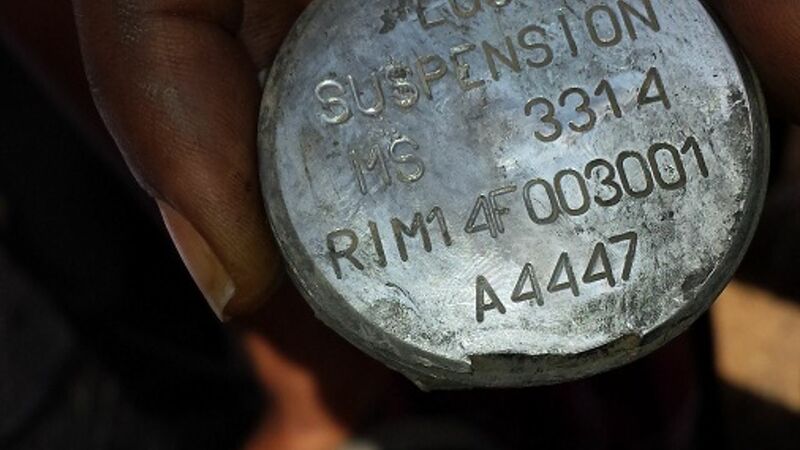 At the site of the airstrike bomb remnants were found, and a suspension lug manufactured by RWM Italia S.p.A., a subsidiary of the German arms manufacturer Rheinmetall AG. ECCHR and its partners from Italy and Yemen call for an investigation into the criminal liability of the Italian authorities and RWM's directors for arms exports. 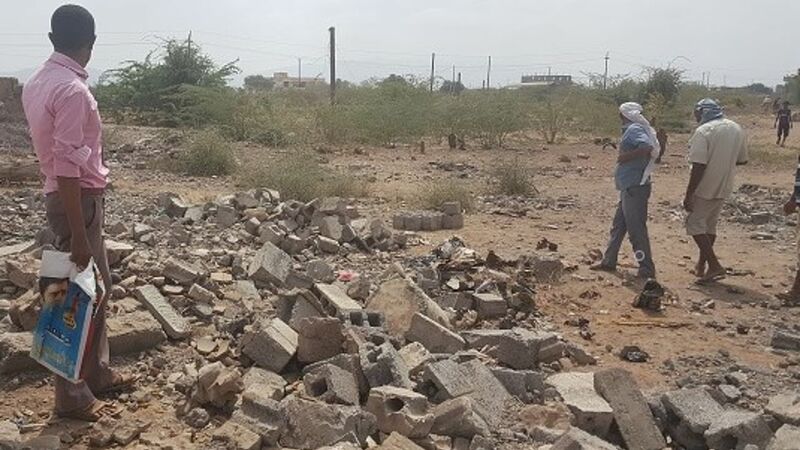 The incident of Deir Al-Hajari is well documented, as a field monitor of Mwatana for Human Rights (Mwatana), a Yemeni partner organization of ECCHR attended the scene the day after. At the site of the airstrike, bomb remnants were found, which indicate that the type of bomb used was a guided bomb of the MK80-family. Also in the rubble a suspension lug, which is needed to attach the bomb to the plane, was found. Its serial marks clearly indicate that it was manufactured by RWM Italia S.p.A., an Italian subsidiary of German Rheinmetall AG. The direct perpetrators of this crime committed in Yemen – coalition politicians and their military personnel – might not be prosecuted at this point in time. However, their suppliers – like enterprises and state officials in Italy – could be brought to justice. On 17 April 2018 ECCHR, Mwatana, and Rete Italiana per Il Disarmo in cooperation with Osservatorio Permanente sulle Armi Leggere e le Politiche di Sicurezza e Difesa (O.P.A.L. ), filed a criminal complaint against managers of RWM Italia S.p.A. and senior officials of Italy’s National Authority for the Export of Armament – UAMA – to the public prosecutor in Rome. The complaint focuses on the air strike of Deir Al-Hajari on 8 October 2016, which killed six civilians. It alleges the criminal liability of RWM Italia S.p.A. managers and of UAMA officials for the export of at least a part of the deadly weapon used in the strike, to Saudi Arabia or another member state of the Saudi-led military coalition. Despite major warnings that the coalition warfare in Yemen causes significant loss of civilian life and breaches of international humanitarian law, exports of bombs and other weapons to coalition member states had not stopped and are still taking place. In Italy, the competent Italian Authority for the Export of Armament authorizes these exports of armaments manufactured in Italy. The on-going arms exports by European countries further the killing, while corporations like German Rheinmetall AG and its Italian subsidiary RWM Italia S.p.A. benefit from this business. At the same time exporting countries provide humanitarian aid to the very population targeted by these arms. Despite the reported violations in Yemen, Italy continues to export arms to members of the Saudi-led military coalition. This is contrary to Italian law 185/1990, which prohibits arms exports to countries engaged in armed conflict. The Saudi led coalition has killed and injured thousands of civilians since 2015, and hits everything in Yemen, schools, hospitals, houses, bridges, factories, etc. It is very sad that Italy is one of the countries that are fueling this war by selling weapons to some members of the Saudi-led coalition. Press Release (Italian): Il produttore di armi e le Autorità italiane sono complici di un attacco aereo dall’esito mortale sferrato nello Yemen dalla coalizione guidata dall’Arabia Saudita?